We're proud to announce that our next patch will actually be an expansion. Don't look so surprised, it's only logical really. 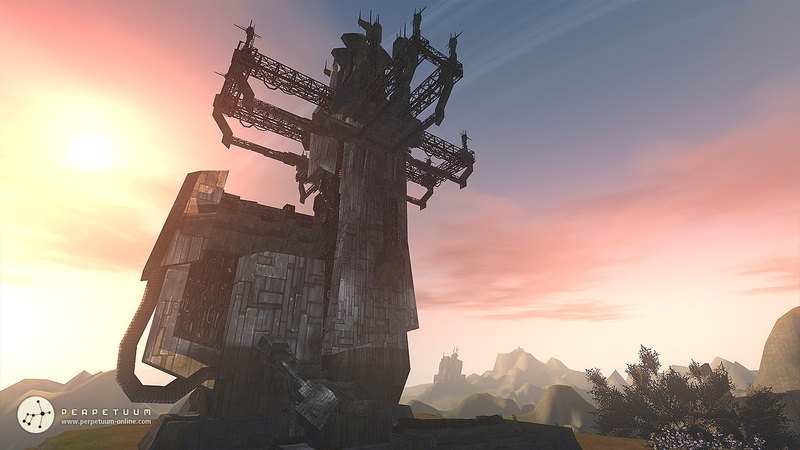 If expanding the world of Perpetuum to twice its size is not worthy of this title, then I don't know what is. Of course calling it an expansion will not make it something you have to pay for, in this context it's free to download like every other patch we have done and will continue to do. 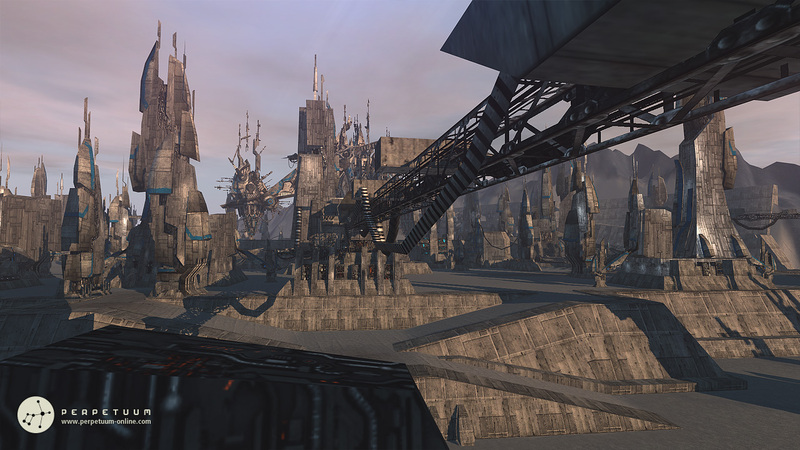 Perpetuum: Terra Incognita will be released on 2011.05.04. Although they are not explicitly called alpha and beta in the game since they have their unique names, we’ll make it simple for you and tell you that this is their official designation. Keeping this naming convention is beneficial for two reasons: we plan to have many more islands, and the greek alphabet is not infinite. Also we felt like the association of alpha=carebears and beta=here be dragons burned into everyone’s minds, so we didn’t want to mess with that, and this way we can easily assign for example “gamma” to different map types in the future, like terraformable ones. 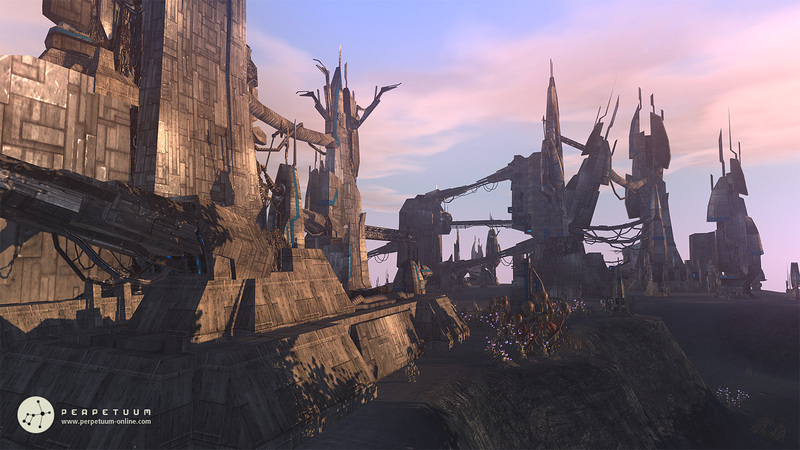 The new islands will of course include all the features as the current ones, like harvestable plants, mineral fields, artifacts, and so on. NPCs will be higher in ranks, you will be able to fight heavy mechs on the new Alpha islands, and the weakest NPCs you'll find on Beta ones will be rank 4. Contrary to our previous statement, a few missions will be also available from the start, but more will come shortly after. 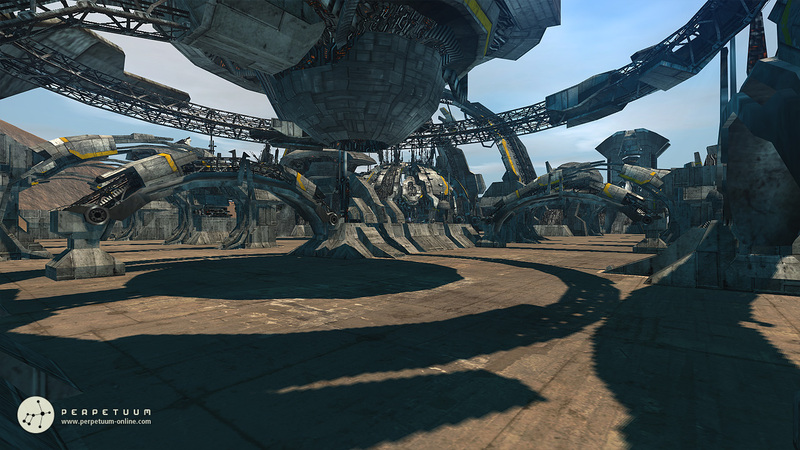 When the teleports are operational, Agents will be allowed to enter the new zones. 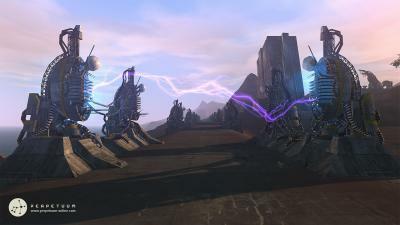 Beware though, they might be crawling with special enemy guards, especially around the main terminals and outposts. Take extreme caution and move in large forces to be ready to take out these hostile groups. Once they are destroyed, our jammers will go online and you will be able to safely reside around those terminals from then on. One of the greatest scientific discoveries of the new territories is a kind of energized highway network, called ElectroMagnetic ACcelerator Strips (EMACS). These help robots traverse at faster speeds - an additional 36 km/h to be precise - while using these paths. These highways link some of the most visited structures, and the Syndicate will use this newly found technology to build these strips on the old islands as well. NIC gets transferred, Agents come and go, production gets finished, someone buys your ammo on the market - a lot of stuff can happen in the background, which you were not necessarily aware so far. The new event notification system will help with this, by showing you informative but non-intrusive popups for many types of events. As you can see on the screenshot, you will be able to select which events you wish to get notified of, and even set how long they should be visible. The system brings some new features along with it, for example you will now know immediately when another corporation changes their relation towards your corporation. 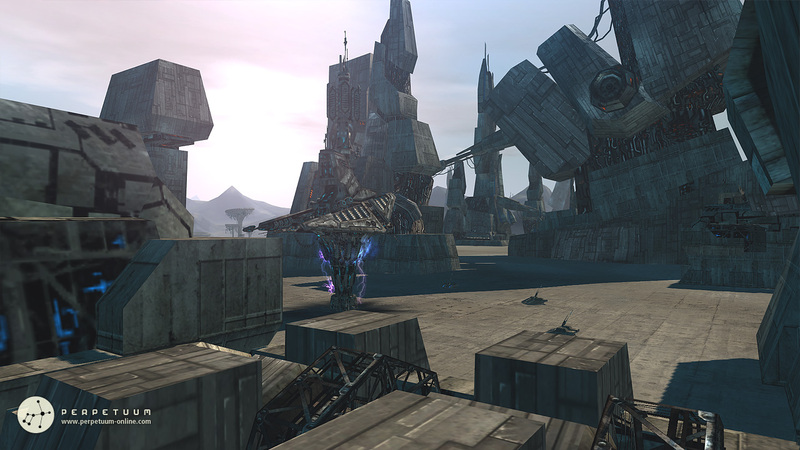 Destroyed robots will deal area-of-effect damage to their environment within a certain radius. This includes other players, NPCs, and even plantlife. The explosion will have a relatively small "full effect" radius, and a falloff radius as well, and both damage and falloff depend on the size of the robot. Damage will also be modified by the exploding robot’s accumulator status: the peak recharge rate is at 50%, thus the higher the reactor’s performance, the higher the damage will be. Similarly to missiles, robot explosions will have an explosion radius parameter which ties into hit surface size, so smaller robots can practically "dodge" the explosions of larger robots (or at least reduce the received damage). To avoid griefing, this feature will only work on beta (PvP) islands. We'll be intruducing two completely new modules in this patch. The first one is the Energy Recovery Plating (ERP), and as the name suggests, this is an armor plating which will absorb a portion of the received damage and transform it into energy, directly injecting it into the robot's accumulator. The second one is the Weapon stabilizer, which will reduce the hit dispersion and explosion size of your equipped weapons, raising their effective firepower. Both modules go into leg slots, and will be available via kernel research. A player requested feature, this will allow you to put up items and adverts on the market that only the members of your corporation will be able to see and use (this will not work in NPC corporations of course). Corporations that didn't take the communist way of life can use it to supply cheap ammo for their soldiers, put up buy orders for raw materials to automatically pay their miners, or any other purposes we can't think of but surely you can. I'll start with the good news, so maybe we can sell this off as a good thing™: we'll increase the mining yield of one cycle for every raw material by 50%. And we'll reduce mineral regeneration rates accordingly. Sounds bad at first, but this only hurts those grinding at the same mineral field every day, while the rest of the island is like an untouched mining paradise. 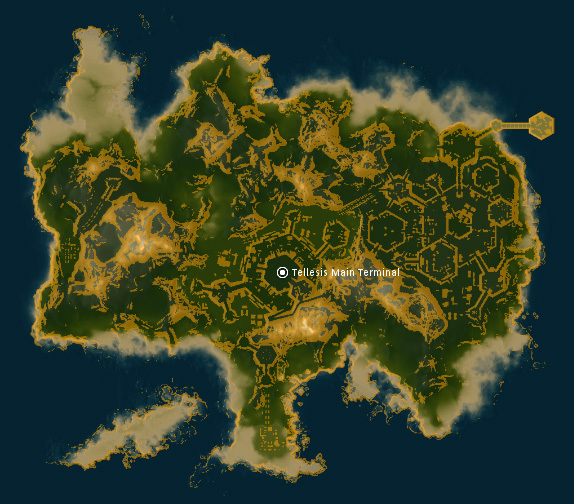 We'll also remove titan ore from beta islands. There's been many discussions about how all the beta corporations are too self-sufficient, which hurts the economy, and alpha corporations don't really have anything they could offer for them. Hopefully this change will start some goods exchange between alpha and beta islands. It's important to note that we will only stop the regeneration of titan ore, so current minerals will stay in the ground until they are all fully mined out. I’m sure we agree that joining a player-run corporation takes gameplay to a whole new level. With Corporation recruitment panels we’d like to make it much easier for our players to find a suitable corporation they can join. Corporation leaders will be able to set up a profile based on simple selections including primary activity, location, time zone, what kind of players they are looking for, are they combat or industry oriented, and so on. 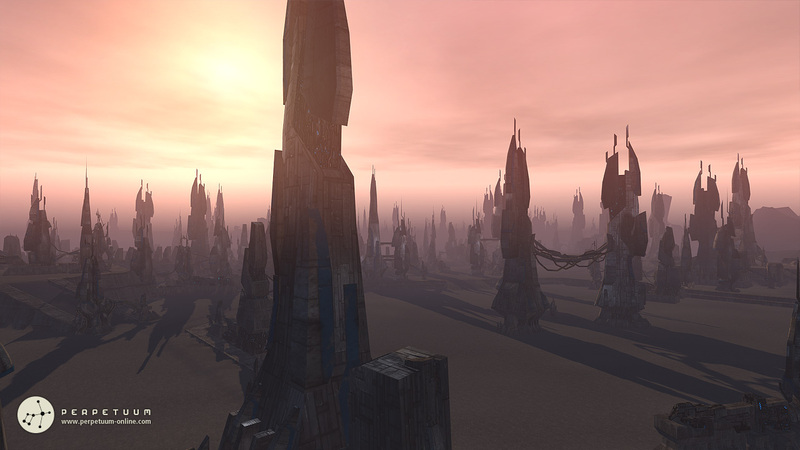 Based on this, other players can do an advanced search and find the perfect corporation for their playstyle. We’ll also extend our ingame help with a career tips section, sort of “what the hell am I supposed to do in this game”-guide. You select an occupation from a list, and we’ll show you a collection of useful snippets for that particular topic, filled with links to our current extensive help pages. The character creation process will also get some much needed guides about what effects and consequences your choices will have there. We'll be adding an information popup for the character selection screen where you will be able to check how many resets you have done so far, and how much EP you'll get back if you decide to do one. Of course these won't be the only changes in the patch, you can expect the usual small fixes and improvements as well. But but... where are my geoscanner folders and assignment system changes? - you might ask. They are coming of course, but we had to draw a line somewhere, otherwise you'd be looking at no patch till summer. So we'll bring those in some 1.1 patch shortly after this one is out (and we have fixed all the new bugs that we're no doubt putting in). What more to say, we hope you're as excited about all this as we are, and hope to see you taking the new land for yourselves next Wednesday!